I first visited Sinsinawa Mound in the summer of 2012 on an edifying parish pilgrimage to sites associated with the great pioneer Dominican missionary priest Venerable Father Samuel Mazzuchelli. A builder of churches and founder of numerous parishes, Father Mazzuchelli also founded the community of Dominican Sisters of Sinsinawa. Since then I have also read his Memoirs and grown to have a tremendous appreciation and love for him and his still-very-current message, and would like to do the little I can do to inspire others to devotion to him. When I and a friend visited Sinsinawa Mound again in January of 2013 for a large showing of a film called Band of Sisters, about religious sisters who believe in “women priests” and pantheism, both my friend and I were told afterward by Dominican Sisters of Sinsinawa that yes, they differed from the Church on matters such as “women’s ordination,” however “one must follow one’s conscience!” I said to one of two sisters who separately told me this: “yes, but I believe in Vatican II, which says that we are obliged to form our Catholic conscience in keeping with Catholic teaching.” She did not seem to have any idea what to say. My disturbing experience that day, of trying and failing to find a sister who believed as the Church does that the Church has no authority whatsoever to ordain women as priests, became a powerful motivation to dig deeper into what was going on at Sinsinawa. In the crowd of hundreds at the film, mostly elderly sisters, I did not see anyone my own age or younger. I am 35. Later people said to me, “what did you expect?” Local Catholics feel that they know what the Sinsinawa Dominicans are like. But it is one thing to hear or read about what has happened with the LCWR-type religious sisters, and another thing to have this experience. How did they get from holy Father Mazzuchelli, to this? At the end of this Introduction, I have quoted his own words on what what he intended as the sisters’ purpose. You simply must read that, but I bet you can already guess it had to do with Catholic fidelity. One of the tragedies for the local Catholic faithful has been a group of LCWR Benedictine sisters near Madison who left religious life, left the practice of the Catholic Faith, and become a breakway sect with a priestless “eucharist” that hosts “women priests” and dissident groups. Local practicing Catholic laity seem to universally understand this as something Catholics cannot support, but I became aware that, outrageously, some Sinsinawa Dominican Sisters and other religious had continued giving public talks at this place, now called Holy Wisdom Monastery (HWM). When national political celebrity Sister Simone Campbell was announced as speaker at their Ash Wednesday service this year, I was motivated to organize a project of lay people’s testimonies about why Catholics shouldn’t support HWM. I brought them to HWM on Ash Wednesday and gave them to Sister Simone and the former Benedictines, and sent them also to the Sinsinawa prioress asking her to make sure the sisters and everyone at Edgewood (there were obvious connections) knew not to support HWM, and even sent this to the LCWR, pleading with them to take note of the tragedy that had happened in my area and be cautioned by the harm that had been done, and begging them to help keep sisters Catholic and faithful. They did not reply. Just before my visit to Holy Wisdom in February, I thought it might be my last opportunity to find out what I had wanted to know for a while: whether there was any possibility that I could get a Catholic education at Edgewood College if I decided to finish my degree. My highest educational credential is a G.E.D.. I inquired in the admissions office. They told me right there I could not get a Catholic education in the Philosophy Department. The following day, after a public “Aquinas Forum” lecture by a Dominican friar, Father Thomas O’Meara, who believed that the Persons of the Trinity are first of all three actions, and insisted that “the Church isn’t going to exist in heaven,” I enjoyed an hour’s wide-ranging conversation with the head of the Religious Studies Department. He said students come to Edgewood College with a very low level of knowledge of, and negative opinion toward religion, therefore his main job was to foster some sort of “spirituality.” He did not see offering students an adequate and sound knowledge of the content of the Catholic Faith as a goal. He did not dispute Catholic beliefs I expressed, except that he disagreed that we had specific First Parents from whom we inherited Original Sin. I tried, I think entirely quixotically, to argue that because catechesis is getting much better than it was years ago, Edgewood College ought to be in the future a place where the children I was currently teaching Catechism to at my parish could grow up to actually continue their Catholic education. The day before, when I’d happened to run into the Director of College Ministry, who had National Catholic Reporter in a magazine rack outside her office, I asked her about that publication and she refused to acknowledge that it is editorially opposed to various Catholic beliefs, and flatly rejected my suggestion that the Catechism of the Catholic Church is an important source of knowledge of the Catholic Faith, that should be available to help students. Unnerved from all this, the irregular aspects of campus Mass did nothing to settle my nerves. When the friendly elderly priest walked up to shake hands and ask my name during Mass I blurted, quietly and accurately, if regrettably, that he should not leave the sanctuary during the sign of peace. I had to conclude that if I tried to become a student I could not deal healthily with Edgewood’s revised, and ultimately not-Catholic idea of Catholicism. Another curious thing was that homosexuality was overtly a part of the culture and activities at Edgewood College, and as I have learned a little more I have found there is even particularly much a pro-homosexuality perspective in the Religious Studies Department. My review of two books by Edgewood Religious Studies professor Sister Loretta Dornisch shows obvious cause for alarm. Enthusiastic embrace of moral and theological error is robbing Madison of the Catholic college that Edgewood is supposed to be, and even undermining the Church locally. In my opinion, there is no credible case to be made right now that they are doing Catholic education, and if it’s not Catholic it’s not Dominican either–a term they use much more often than Catholic. I also discovered SinsinOP, the Sinsinawa Dominicans’ massive email discussion list archive, going back to 1999. I found it by a simple Google search–it is publicly viewable on the internet. When I realized what an ample and public glimpse it afforded into the conversations of Sinsinawa Dominicans among themselves, and what was going on in their congregation, I prayed deeply about whether I would be able to charitably, with sincere love for all concerned and confident hope in God’s mercy, bring some of this information to the public. I decided to sift through SinsinOP, and for the sake of the Church and the common good, let people know what on earth was going on. This has taken me about 6 or 7 months, supported by the encouragement of lay friends. I was determined that, as with the Holy Wisdom Monastery Testimonies initiative, it should be a purely grassroots lay effort. I have continued to pray constantly for the grace to do this in charity, and for the true good of everyone concerned. I hope many others will also pray for the Sinsinawa Dominicans, particularly through the intercession of Venerable Father Samuel Mazzuchelli, who had both a strong vision of Catholic fidelity and such a warm solicitude and affection for the Sisters he founded. I sought no one’s permission and no diocesan sanction, and therefore of course received none. Whereas the Doctrinal Assessment for the LCWR was conducted by theologians at the Holy See, this “Report on the Sinsinawa Dominicans Today” is by a young lay woman who decided to do this entirely independently. I cannot see any way I stand to gain by this, on the contrary it has cost me money, besides such a lot of time. Conscience and strong love for religious life and the Church moves me to make known what I have learned is going on with the Sinsinawa Dominicans. Though there is much to love about these sisters, and when I have met them they have been nice people, the focus of this Report is admittedly on what is problematic. I did find one good and true sister who especially stood out for me, Francis Assisi Loughery, now deceased, whose SinsinOP contributions I so admired that I pieced together a biography of her which also gives a rough history of what happened within the Sinsinawa Dominicans in the second half of the 20th century. I have been told by several different sisters who knew her, that she was a holy woman. As Sinsinawa Dominican Sister Clare Wagner said on SinsinOP about the LCWR Doctrinal Assessment: “for myself, many religious and LCWR members the ‘accusations’ are not ‘unsubstantiated. '” I think the “Report on the Sinsinawa Dominicans Today” supplies examples from one particular large congregation (with still about 500 members, one of the largest in our country), of many of the concerning phenomena referred to in the Doctrinal Assessment for the LCWR. I think we also get a painful sense of the problems there are as a result. It is actually really clear why compassionate concern for sisters themselves was part of the Church’s reason for the Assessment, and for the Apostolic Visitation of sisters. I have had to be selective about what I focused on. Some types of problems, like financial or real estate ones, I have made a conscious choice to avoid, though I want to encourage people to donate for sisters’ retirement. And, I have to mention that I believe that out of respect to the People of God, religious need to conscientiously follow Church law in regards to “alienation” of property, etc and not strategize against it, as the unscrupulous Fr Dan Ward may have widely advocated. I mention this out of conscience, but do not even know the state of these things with Sinsinawa. I generally opted to focus on topics that are doctrinal in their impact, rather than lifestyle issues. The issue of wearing a habit does not really figure in my Report. Not all the issues raised are of precisely equal importance–revising the meaning of the Eucharist is much graver than sisters praying with a feminist prayerbook instead of the Liturgy of the Hours, for instance, which is not to say I think the latter is a good idea. In the end I did not feel drawn to do a specific article about sisters believing in “women’s ordination,” even though I see this as an extremely key topic of my Report and not a lesser one at all; it is among the most troubling doctrinal deviations, because it pertains to something that inherently breaks the communion of the Church. The large majority of the Sinsinawa Dominican sisters believe “women’s ordination” is something possible, therefore this topic appears throughout all the articles. I think one can see from the words of the sisters themselves, quoted in my articles, how “women’s ordination” is connected with breakdown in Catholic beliefs and in sisters’ relationship with the Catholic Church. Personally I do not relate whatsoever to the desire for “women priests,” above all because I myself am a (privately vowed) celibate, in single-heartedness for Jesus, a priest is sacramentally a sign, image or icon of Christ, and acts in His person, and a woman is not an image of my Bridegroom. I thank God that women and men are not simply interchangeable. Pope Francis said recently that “women in the Church are more important than bishops or priests,” just like, “Mary is more important than the apostles.” And as Christian men or women, our knowledge of the mercy of God means we need not be afraid of our own lowliness. If only the Congregation of the Most Holy Rosary of Sinsinawa could get back to its beautiful Marian roots! 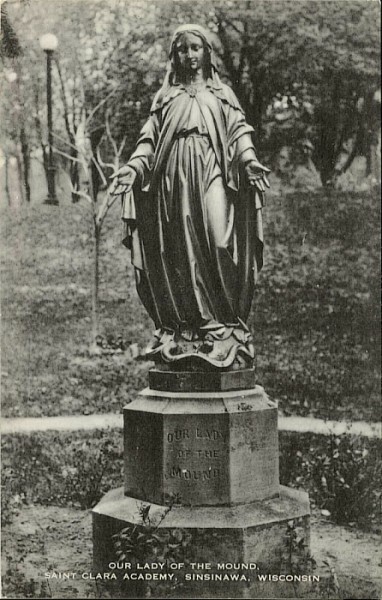 Pray to Our Lady. The articles that make up A Report on the Sinsinawa Dominicans Today were written in approximately the reverse order in which they are presented, ie, the one on Sister Francis Assisi Loughery was actually written first. It was important to me to start with that one. Some readers will not have time to read every article, but one or another of them will be of special interest. The one that most tells the story of what happened within the Sinsinawa Dominican Congregation from the 1950s to now, is the article on Sister Francis Assisi Loughery, whom I greatly admire. The one on on radical feminist and abortion rights activist Sister Donna Quinn gives another specific dimension of the history of the same time period. I feel like possibly the article that most reveals “the problem” is the one on “Relationship with the Institutional Church.” A further look at how feminism causes a clash between the sisters’ goals and the Church, is found in the article on the sisters’ discussions about whether to revise the language of the vow formula to remove all male language for God. The other articles, on “What is Eucharist for me?,” on the Liturgy of the Hours-style feminist prayerbook “Dominican Praise,” and on sisters giving homilies at Mass, give insight into the impact of feminism on theology and liturgy, and the ways in which feminists have actively sought to “change the Church” by changing language and practices in questionable and unauthorized ways, which undermine the Catholic Church from within. Since the Eucharist is the source and summit of the Christian life, according to Vatican II, matters pertaining to the Mass and the understanding of the Eucharist are of no little significance. Together with the Report on the Sinsinawa Dominicans Today, I have written four reviews of books by Sinsinawa Dominicans, to afford a more in depth look at the thinking of the sister author. These are: What A Modern Catholic Believes About Women by Sister Albertus Magnus McGrath (1972) in which there is a recounting of every possibly-offensive thing Catholics have said about women down through history and an argument that “women’s ordination” is necessary to correct the situation, The Feminization of the Church by Sister Kaye Ashe (1997) in which a past Sinsinawa prioress lays out the whole radical feminist belief system, Paul and Third World Women Theologians by Sister Loretta Dornisch (1999) in which Saint Paul’s letters are interpreted as if they were written by “Paula”, and Awakening to Prayer; A Woman’s Perspective by Sister Clare Wagner (2009), a book of “spirituality for catholic women” which really seems to be spiritual-not-religious, and the Catholic Church and the Sacraments seem to play no role. It is a limitation of my project that I have necessarily focused on what is problematic. Not all books by Sinsinawa Dominicans are as problematic as those. I have Sister Anne Marie Mongoven’s The Prophetic Spirit of Catechesis right here, and since I am a beginner catechism teacher, I intend to see what I can learn from it; through SinsinOP I have come to consider Sister Anne Marie a good person, usually worth listening to. And it seems to me that Sister Mary Margaret Pazdan is a scholar, and her Becoming God’s Beloved in the Company of Friends is a sincere “ecumenical” type book on discipleship according to St John’s Gospel. 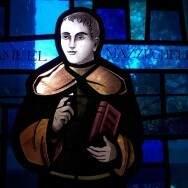 The late Sister Mary Nona McGreal’s works on Venerable Father Mazzuchelli, particularly the Positio, and the biography Samuel Mazzuchelli, American Dominican, are definitive, though much remains to be done to bring this kind and zealous man’s Christian witness, teaching and insights to bear for the New Evangelization, and truly carry his mission forward. All readers should recognize the limitations of a project of this nature, which was carried out on the basis of a considerable amount of evidence of sisters’ own words, and in many cases information about official decisions or communications by the Prioress or the Congregation, but without true and complete inside knowledge. Because of the necessary secrecy of the project during the time when I was working on it, I could not do anything that would risk loss of public access to the SinsinsOP archive, so there was not a reasonable possibility of checking with the participants to ask for more information or clarification. The semi-exception was some limited amount communication with sisters about Sister Francis Assisi Loughery, including the helpful contribution of the esteemed Sinsinawa Dominican Archives, which sent me a scan of her official obituary. Also, I am not a professional or credentialed journalist, researcher, historian, writer, or theologian, though I have tried to do the best I knew how in these areas. In charity, everyone should also consider the possibility that some sisters may not even continue to feel the way they did when they wrote something imprudent in an email that was preserved in the SinsinOP archive. It should also be remembered that, although there seems to have been an awareness by most or all of the SinsinOP participants that their messages were being publicly archived, most probably did not continually keep that fact in mind and unless specifically stated, surely were not intending for their messages to publicly represent the Sinsinawa Dominican Congregation. Indeed, comments of individual sisters speaking for themselves should above all be understood in that way, as individuals speaking for themselves. On a great many issues, they do not all believe the same. There is even the occasional possibility of sisters writing a message via another sister’s account, leading to mistaken attribution. And it is possible that my sincere efforts to understand and justly and authentically interpret what I saw or read may have fallen short in some cases, and that I may have made various kinds of inadvertent errors. I know that I have very strongly wanted not to misrepresent anyone, and I am open to being corrected. As well, and perhaps above all, I have strongly wanted to speak rightly of and act in conformity with the truths of the Catholic Faith, and the Church’s discipline, and if I have gotten any of that wrong, may anyone who knows better than me correct me. Finally, I myself do not speak on behalf of the Catholic Church, the Diocese of Madison, or my parish, obviously also not the USCCB, the CDF or the Congregation for Religious, and I don’t think anyone need assume that any of them would even approve of what I have done. And if what I have done is counterproductive to the unity of the Church and the salvation of souls, then I do not want anyone, lay or cleric, to approve. But the hope is very deep in me, and I pray, that every reader will choose to respond to what I have written with a sincere and even increasing desire for that true unity, so desired by Our Lord, and for the salvation of souls. In the early 1970s, during the mandated time of experimentation to implement the reforms called for by Vatican II, and sensitized to inequities and rights issues by the black Civil Rights Movement (and more to the point, Marxist liberation theology), the sisters became more and more immersed in a world in turmoil from the Vietnam War and, the backlash against Humanae Vitae, the push for an Equal Rights Amendment, and the abortion revolution of Roe v. Wade. 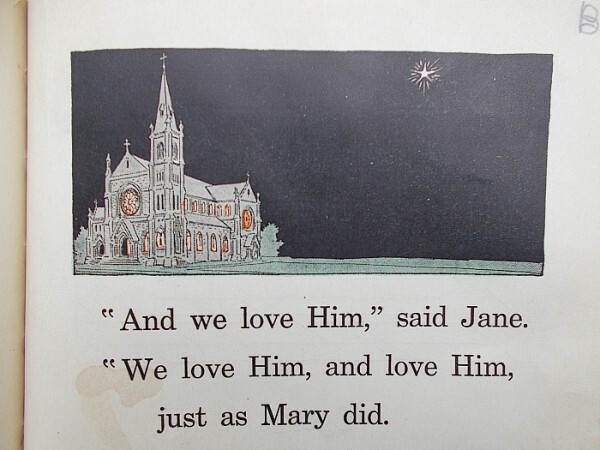 Catholic feminists started to decide that even using masculine pronouns for God, the Father of the Son of Mary, was propping up systematic oppression of women, which they felt they had to work to overturn. Together with other American sisters they angrily set about attempting a revision of Christian beliefs and practices. The new and different belief system has led many into an antagonistic relationship with the Church, which some remain within in order to subvert and attempt to change its doctrines, while in some other cases former sisters of other orders have formed breakaway sects like Holy Wisdom Monastery. What is a sadder illustration of the crisis within many LCWR-type religious communities, than the phenomenon of fallen-away Catholic sisters? I think not only of those former LCWR sisters who formally leave canonical religious life, leave the practice of the Catholic Faith, and sometimes start their own sect, like Holy Wisdom Monastery, but of those who remain within their canonical religious congregation but fall away from active practice the Faith, as defined in its minimum form by the precepts of the Church, and above all attendance at Sunday Mass. About this, see my two-part article on “Moving beyond the Church?” and particularly the words of Sister Laurie Brink. There is a tremendous tragedy, sadness, and source of scandal in the whole idea of any sisters for whom keeping themselves in a state of Grace is no longer sufficiently comprehended or felt as important. How much we need to renew everyone’s grateful devotion to the incomparably precious gift of Divine Life that comes to dwell in us through Baptism, is strengthened and sealed by Confirmation, restored through the divine Mercy in the Sacrament of Reconciliation when it had grown weak or been snuffed out by grave sin, covenentally renewed in the Eucharist! And the life of Grace in the soul of the preacher is very essential to the Holy Preaching. It was a Dominican Sister of Sinsinawa who translated into English the masterpiece of spiritual theology by Father Reginald Garrigou-Lagrange, O.P., The Three Ages of the Interior Life, which was for some years after its 1947 publication a part of novice formation at the Mound. I have a great admiration for this book, and gratitude to the Sinsinawa Dominicans for translating it. This summer when I led a study of Saint Teresa’s The Interior Castle for women at my parish, I drew also on The Three Ages of the Interior Life, and besides his great explanation of the mystical life as the normal development of the life of grace, to which everyone is called, I was most struck how superbly he integrates spiritual theology with systematic and sacramental theology, and makes it easy to understand even for regular people like us; the other women also commented appreciatively on Garrigou-Lagrange and what this contributed. But I am concerned that this fully Catholic understanding of the life of Grace and its development, and for instance how the Sacraments relate to that, may have been left by the wayside for some sisters. I think of fallen-away Catholics when I see on the front page of the Father Mazzuchelli Society website the brief quote from the holy man urging site visitors: “Let us open eyes of evangelical charity.” He wrote in his Memoirs that, “humanly speaking, unless the work of conversion to the Faith, and the fervor and the charity among the Catholics themselves are not reanimated, all will be dragged down to that unbelief which, at this very moment is giving signs of its dominion over a great part of the nation.” His 1844 book is perhaps the most powerful inspiration for the New Evangelization that I have yet read. Everyone’s humility and growth in virtue is necessary, and for us to be real sisters and brothers to one another. Dialogue is important. But the dialogue cannot be a “tactic” and a feminist praxis of circularity-instead-of-obedience, or an attempt to foster indifferentism in hopes that the Church may settle for false irenicism, false peace, a friendly truce between Catholic truth and error. Father Mazzuchelli warned against that very clearly. But there must be communication, and the sisters simply must inform themselves on every topic far more from orthodox Catholic sources. I think the sisters must listen more to the orthodox Catholic laity, and especially get to know and respect the wisdom of the growing number of younger Catholic couples who are living their marriages in keeping with Catholic teaching. I believe the sisters need to break out of the alternate universe of National Catholic Reporter and “Call to Action,” and learn to feel fully at home again in the Catholic Church, catching up with happily practicing lay Catholics of today, and two or three congregations of Dominican Sisters, for instance those of Nashville, who are not in a kind of cold war with “the institutional Church.” I think sisters need to get more in touch with those laity who are actually trying, in the midst of the most difficult cultural circumstances, to live the Faith to the full, to live a truly moral and deeply Catholic life, to raise their children to be believing and faithfully practicing Catholics, and who know by faith and by experience that Jesus and His Church offer a better way than the way of the world, and bear witness to that. The laity I know see the Holy Catholic Church not as an oppressor but as the channel of Mercy, our mother and teacher of the right use of freedom, and as having human happiness deeply at heart. In light of some (many) sisters’ radical feminist program of not only altering liturgical language and practices on their own authority (an authority Vatican II says even a priest does not have), but even claiming for themselves authority the Church Herself does not have to edit doctrinal and moral truths, what shocking nonsense is the media narrative of poor bewildered victim sisters who were (supposedly) doing exactly what Vatican II said and simply want to serve the poor, butting heads with mean male hierarchs who are apparently just out to get them! But, peace, let us take a breath together and be humble before God together. I am not trying to provoke, but want to say: I have read and listened at length to what you have to say, sisters, I have grown to care about you, and please let go the victim mentality. There is healing through forgiveness. And others, too, should forgive you. Peace be with you, sisters. Sometimes, too, what is necessary includes the medicinal remedies there are in Canon Law. I’m not the arbiter of what is just or likely to be helpful. I believe that the sisters do need to see that other Catholics love them personally even if they don’t necessarily agree with all that that the sisters have said and done. The reality is that they may not easily experience my project as an act of love. It may be other faithful Catholics who show them love in a way they are able to welcome. We need to be thankful for the good sisters have done. I hope for those who see the problems to not hesitate to donate for sisters’ legitimate retirement needs. It would be nice if the Sinsinawa Dominicans’ Retirement Fund could get some new donors. People should pray for the sisters from their hearts and desire that Jesus should show them kindness. I want priests to have the heart of Father Mazzuchelli toward them. I am even happy if there are some people who understand the problems but feel sick over having this report’s disturbing information about them in public (though it must be noted that SinsinOP archive was already public). Do not ever forget God is mercy and love and He pours out immense grace through the Church and the Sacraments. 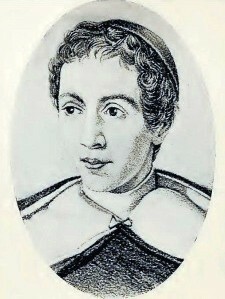 It is the special vocation of the Third Order of St. Dominic to oppose religious error in all its forms; and in this country it has as great a work, and perhaps a greater one than that of the times of its holy founder [ie, Saint Dominic], because false doctrines and bad morals surround our Catholic youth on every side. The Sisters, then, in teaching Christian doctrine, by words and example, to the children of this country, where they are exposed to lose their faith, do fulfill the main duty of their vocation, and become the true children of their Patriarch, and worthy of the name of the Order of Preachers. The Holy Catholic Church, for several ages past has given her sanction to many Religious Orders, founded by men of God with the view of attending to the particular demands of the times and places they lived in. In our days, however, it seems that, as the old enemy of mankind is undermining every Christian truth, and striving to bring the world back to paganism, by the worship of man in place of God, the spiritual armies of the Church of Christ are called upon to file in battle array, to combat the enemy wherever he is to be met with. Every branch of human knowledge has been made more or less subservient to the dark designs of Satan: the press, the schools, the politics, and the literature of the day are, in their corrupted state, powerful arms in the hands of the enemy to destroy, if possible, all that is sacred in Christianity. This is the principal cause which, in our age, persuaded the various Religious Orders, ancient and modern, to appear in the same field of battle, and fight with the same spiritual weapons. The hermit, the contemplative, the penitent, the politician, the artist, the philosopher, the man of letters, the school teacher, and even the recluse virgin of Christ, as well as the theologian and the minister of the Lord, have come together to meet the common enemy; and now they stand on the same ground , to fight for the same cause, and save, if possible, the future generation from falling into the darkest, and perhaps, the last stage of infidelity. Whether this multitude of believers of every rank, capacity, and vocation will be victorious at the end of the spiritual struggle, is a secret locked up in the impenetrable decrees of God. It is certain, however, that every one who joins this spiritual army, and combats valiently, by teaching, prayer, and by self-denial, will receive a crown of glory from the hands of the Saviour of the world in the day of final retribution. The Dominican Sisters, by joining the army of the Church Militant against error and sin, become active members of the militia of Jesus Christ, according to their original vocation, which is the most glorious and exalted station in human life, and well worth leaving their homes, their relatives and all worldly affections, in the well-grounded hope of that exceedingly great reward, the entire and eternal possession of God the Father, Son, and Holy Ghost. Lord Jesus, you called your servant, Samuel, even in early youth, to leave home and all for a Dominican life of charity in preaching your holy gospel. You gave him abundant graces of Eucharistic love, devotion to your holy Mother of Sorrows, and a consuming zeal for souls. Grant, we beseech you, that his fervent love and labors for you may become more widely known, to a fruitful increase of your Mystical Body, to his exaltation, and to our own constant growth in devoted love of you Who with the Father and the Holy Spirit live and reign one God, world without end. Amen.